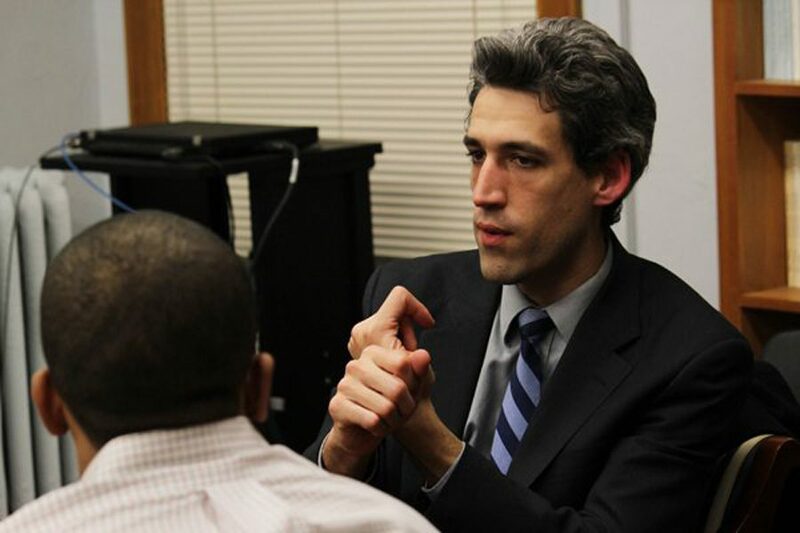 Sen. Daniel Biss (D-Evanston) speaks at a Political Union event in 2013. Biss said at a panel Monday lower voter enthusiasm for national candidates was to blame for the fall in turnout in the election. Illinois politicians and political experts discussed several irregularities in last Tuesday’s election, including unexpectedly low voter turnout, inaccurate polling and high campaign spending at an event on Monday. The Illinois Campaign for Political Reform hosted the post-election panel to discuss and analyze last week’s election results in both the state and national races. Roughly 100 people attended the panel, titled “2016 Election Results: Change or Status Quo?” which featured six panelists from the state’s Democratic and Republican parties. Brune opened the event with Illinois state election statistics, noting that candidates in the Illinois comptroller race raised more than $12.6 million in combined contributions, a record high. Brune also noted voter turnout in Illinois fell to 67 percent in 2016 compared to 75 percent in 2012, despite expectations of record high turnout. Illinois Sen. Daniel Biss (D-Evanston) said lower voter enthusiasm for national candidates was to blame for the fall in turnout. “The campaigns that were just run fell short in that respect, and the nature of our political discourse fell short in that respect,” Biss said. Pollsters took the hot seat next as moderator Lauren Chooljian, a reporter for WBEZ, said it was “obviously way off.” The Strategy Group president Terry Walsh disagreed, saying he believed pollsters weren’t too far off and that forecasters’ predictions that Hillary Clinton would win the election could have suppressed turnout and altered the race. Walsh said voters expected Clinton to win because of forecasts, so they did not feel obligated to vote. “It became kind of a freebie, like ‘I’m going to get the result that I wanted and I’m not going to compromise myself in the process,’ so the forecasting may have had implications for turn out,” Walsh said. Chooljian capped off discussion by asking panelists to comment on the futures of both parties. Former Sen. Matt Murphy (R-Arlington Heights), a Republican, said he is hopeful President-elect Donald Trump and the Republican Congress can break gridlock and pass legislation. The panel also featured government affairs consultant to Next Generation Strategies Pat Brady and Sen. Sam McCann (R-Carlinville). Former state Sen. Suzanne Bassi (R-Palatine), an attendee of the event who previously supported John Kasich, expressed doubt over the future of American politics. “I suspect they don’t have a clue of what this man (Donald Trump) will be doing,” Bassi said.